The Android P Update for OnePlus 3 and 3T is coming, the company has announced on its official forums and social networks. Is this OnePlus’ way of earning back the trust of former users, who were upset with the OnePlus 2 fiasco? While we cannot answer that, it is definitely interesting to see the company’s plans for devices which are nearly 24 months old. The OnePlus 3 was launched in June 2016, with Oxygen OS 3.1 based on Android 6.0.1 Marshmallow. The OnePlus 3T followed suit in December 2016. 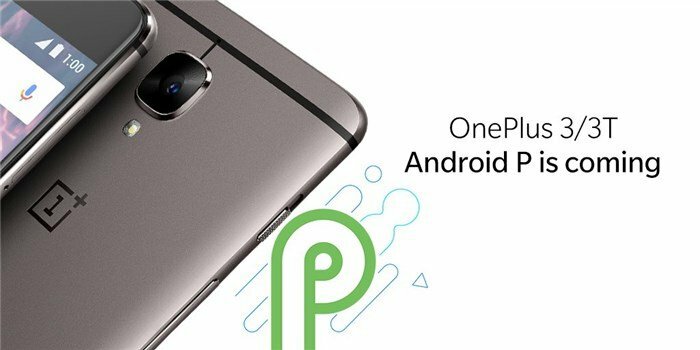 Android P Update for OnePlus 3 and 3T is big news, why? OnePlus released the Android N Update with OxygenOS 4.0, for the devices in January 2017, just a month after the 3T’s debut. At the end of 2017, the company decided to release Oxygen OS 5.0, based on Android O 8.0 for the OnePlus 3 and the OnePlus 3T. This was the second major OS version update (Marshmallow to Nougat, and Nougat to Oreo). Usually, this is where almost all Android OEMs abandon their devices. But, OnePlus has decided to change things by announcing that the Android P Update for OnePlus 3 and 3T will be available. Has OnePlus redeemed itself with the Android P Update for OnePlus 3 and 3T? I spoke to a OnePlus 2 user to whom I had recommended the device at the time, and asked him whether this has changed his mind about the company. His reply wasn’t surprising in that he is still angry that his device won’t get any update. And I have to concur. The OnePlus 2 is still a powerful device, and is capable of running Android Nougat, and even Oreo. The fact that the company failed to provide a second OS update for the OnePlus 2 is inexcusable, which is only made worse by the fact that the company never apologised about it. So, in the eyes of OnePlus 2 users, redemption for the company is impossible . That being said, I’m really happy to see OnePlus has learnt its lesson by providing more than two OS updates. It gives new buyers faith in the company. Another friend of mine who bought the OnePlus 3 based on my recommendation, was initially angry with the OnePlus 3T news. But he was very happy when his device was updated to Oreo, and I’m certain users like him will be delighted with the news about Android P Update for OnePlus 3 and 3T. Since Google is yet to announce Android P, it is impossible to say when the OnePlus devices will get the update. But the company did say that the Android P Update for OnePlus 3 and 3T will arrive after the OnePlus 6, OnePlus 5 and OnePlus 5T get the OTA update, in that specific order. That’s not too bad, right?